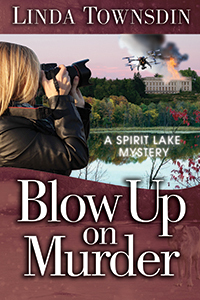 I am Linda Townsdin and I am the author of the Spirit Lake Mystery series inspired by my wonderful childhood in Northern Minnesota. 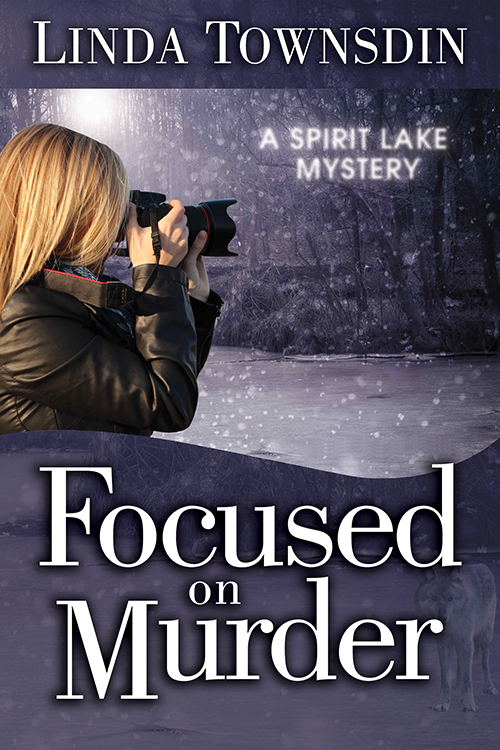 Focused on Murder (2014), Close Up on Murder (2015), and Blow Up on Murder (2017) have been called “complex murder mysteries with bone-chilling thrills and a little bit of romance.” In addition to mysteries, my short stories have been published in several anthologies. I’m a member of Sisters in Crime, She Writes, Mystery Must Advertise and Amherst Writers & Artists (AWA). I was co-chair of the 2017 Capitol Crimes Anthology. 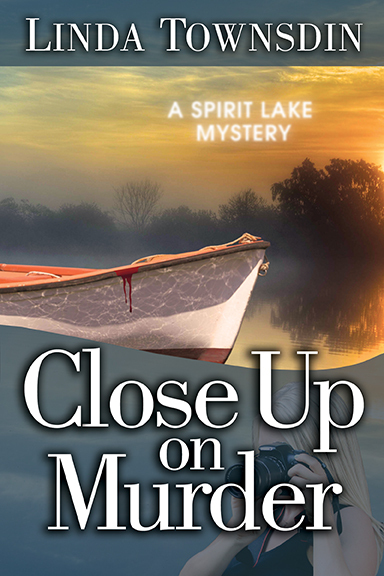 My background as a senior writer and editor for a criminal justice organization that works to improve information sharing among local, tribal and state agencies has been helpful in plotting my Spirit Lake mysteries. During my corporate and nonprofit writing career I produced a wide range of nationally disseminated publications. I wrote and edited marketing collateral and public relations materials for symposia, conferences and workshops; developed content for websites and produced corporate videos; co-wrote and produced an earthquake manual for the state of California, and other statewide publications. I have a bachelor’s degree in English. I grew up mostly in Colorado and Northern Minnesota, but California is home. In addition to writing and reading, I like to spend time outdoors, and belong to Kaia F.I.T. (Functional Intense Fitness). I am drawn to all bodies of water. I adore my family, friends and pets and believe the true measure of success in life is your joy. Inspirationsl blog, Linda. Enjoyed your photo on the beach. I wish you success with your mystery novels. And you’re right. Long descriptions are out. Sentences are brief now. We’ve lost something in our writing in order to get published as we adhere to the wishes of agents and editors. But everything changes. Pehaps all of the above will too. Also wanted to thank you for buying my mystery novel, first in a series. It was nice visiting with you at the SiC Christmas luncheon. Hi, Linda. I saw that you recently read my blog, The Catalyst, and wanted to thank you for “liking” one of my pieces. I hope we might get to write together one day. Enjoy the conference! I like all your pieces. I’m a follower! Thanks for commenting. Hi Linda. I found your site through the Artistry by Adele blog (that I somehow stumbled upon – her photos are beautiful). She mentioned your blog as offering writing inspiration and I can always use inspiration and tips. I’ve read some of your posts and she’s right about your blog! I too have followed your blog and thanks for following mine! Thank you so much for thinking of me! I’m thrilled! Thank you so much! I’m a huge fan of your Postcard Fiction and look forward to seeing each one you post. Hi Linda. Thank you for visiting my blog today. Yes, we do both share a love of writing and notebooks. 🙂 I love the photo of you at the beach! I look forward to reading more of your post. Happy Thanksgiving to you and your family! Thank you Freshly Pressed for alerting me to this blog. Thank you Linda for the words and pictures. Hi! Thanks for commenting. I like your Montana sky photos! As an aspiring writer, I like to read the work of other writers. You have an impressive blog! Lots of inspiration. Congratulations on all you have achieved. I hope to be as successful one day. Hi Linda, I’ve nominated you for a Most Inspiring Blogger Award. http://lucciagray.com/category/blogging-awards/ I’m not sure if you like receiving Awards. I hope you can accept, but if you can’t accept, that’s fine. I just want you to know you are inspiring! Hi Luccia, Yes, I like receiving awards! Thank you! I’m honored. I really enjoy your blog. Thank you for accepting the award 🙂 I enjoy your blog, too.